The Samsung Galaxy C7 Pro was launched in January 2017 with a 5.7-inch Super AMOLED display powered by a 2.2GHz Snapdragon 626 SoC. The phone ran on Android 6.0 and comes with 4GB RAM. It has 64GB of internal storage that can be expanded to 256GB. Samsung Galaxy C7 Pro Overview? The device was a dual sim phone with 4G connectivity, with a battery 3300mAh strong. It featured a 16 megapixel primary camera at the rear and a similar 16 megapixel camera for selfies. It lacked the essential fingerprint sensor and face recognition feature that is a standard in smartphones these days. The OS is outdated while the camera quality is subpar in dim light and the processors available in its peers are far more powerful with added specs and features. If you are thinking of selling your old Samsung Galaxy C7 Pro before splurging on your dream phone, your search ends at Cashify. Cashify is the biggest and most trusted name where you can sell old mobile phones and gadgets in a few convenient steps. Why Sell Your Old Samsung Galaxy C7 Pro On Cashify? 1. 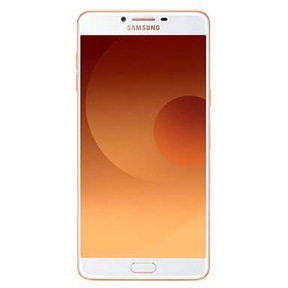 Go to the Cashify website and choose from the list of the brand names and model names - in this case, the Samsung Galaxy C7 Pro. Answer a few questions about the age and warranty period of your old phone. 2. Cashify uses its automatic pricing mechanism to give you the best price based on your responses and inputs. 3. If the price suits you, schedule a free pickup and inspection with Cashify. Choose a time and place that suits you. 4. Our agent will instantly transfer the payment in exchange for the old phone after it passes the inspection. You are free to choose your mode of payment from cash, bank transfer, or even e-wallets. Cashify lets you get the best prices for your old Samsung Galaxy C7 Pro in a safe and transparent way.